This is an extremely delayed part II of a two part series on Morocco. 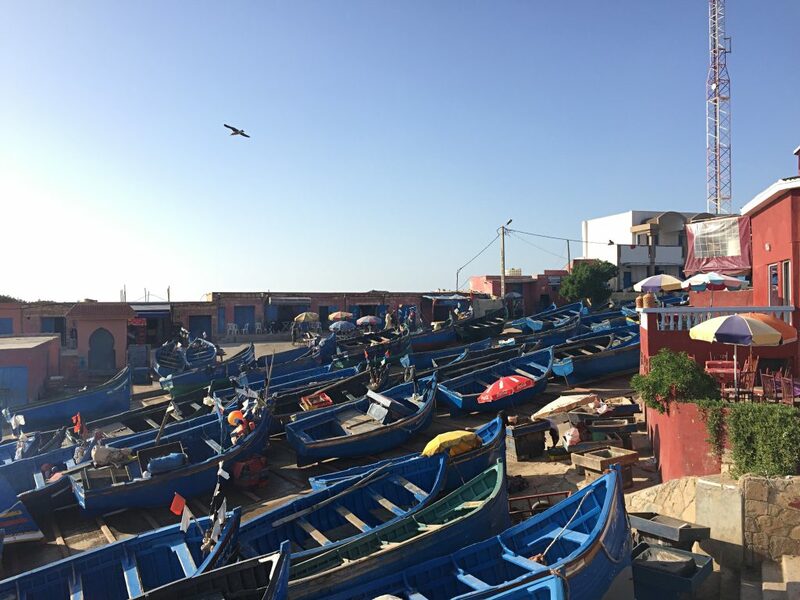 Read part I on Marrakech here! 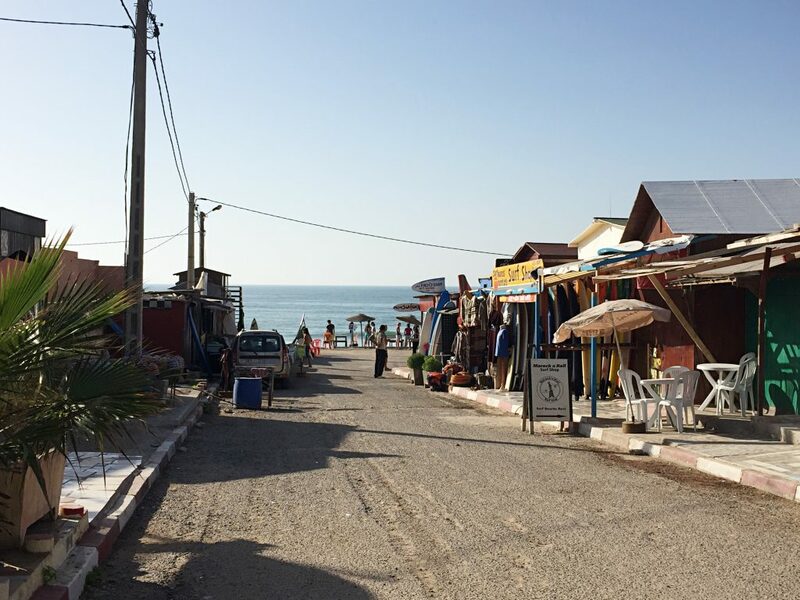 Driving down to the coast from Marrakech took some real effort – three hours of winding highways and a serious bout of car sickness later, we arrived in the little coastal fishing town of Taghazout. 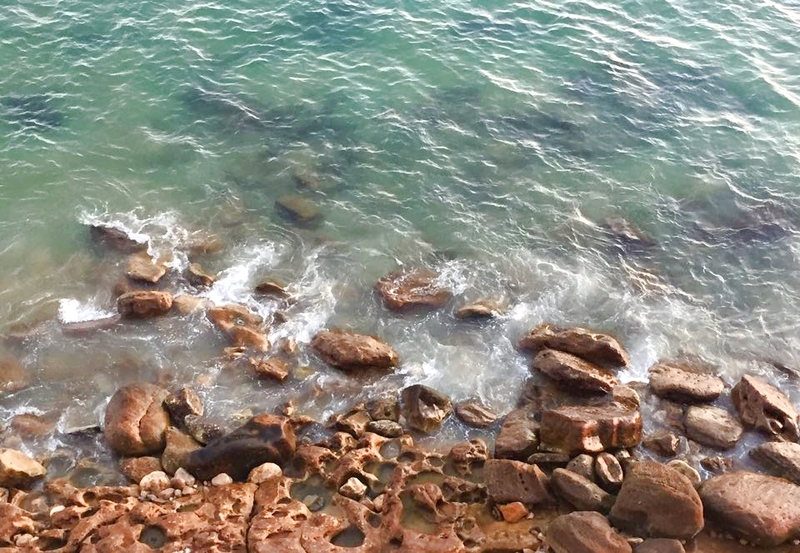 This area is quiet and popular with surfers looking for some world-class surf breaks (check out this guide for more information). We settled into our amazing Airbnb house and checked out the private rooftop terrace that offered us panoramic views of both sunrise and sunset! The apartment host made sure we had everything we needed and even offered to loan us some of his own surfboards. If you’re looking for a place to stay, this oceanfront villa is incredible. 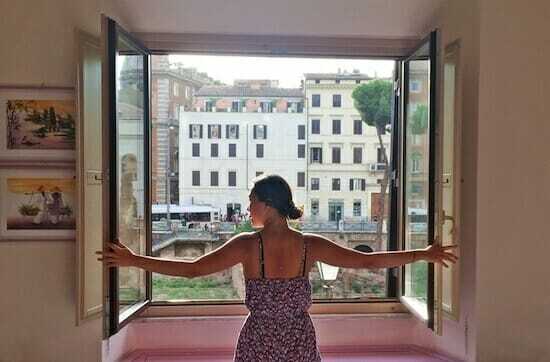 Sign up for Airbnb using my referral link and get $27 off your first stay! If you’re interested in surfing, Surf Maroc has plenty of boards and wetsuits available for rental, just make sure your vehicle has a board rack on the roof. 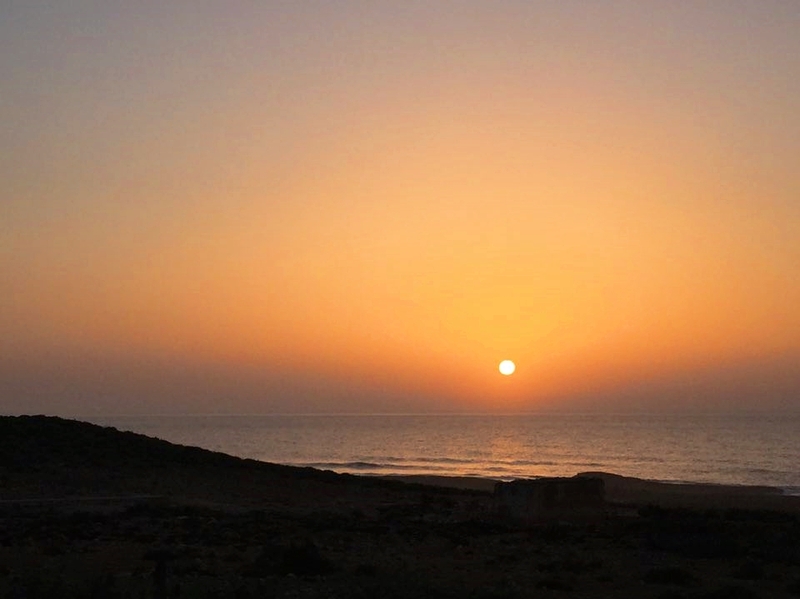 There are multiple surf spots in the area and Imsouane, though far and slightly crowded, was tons of fun. 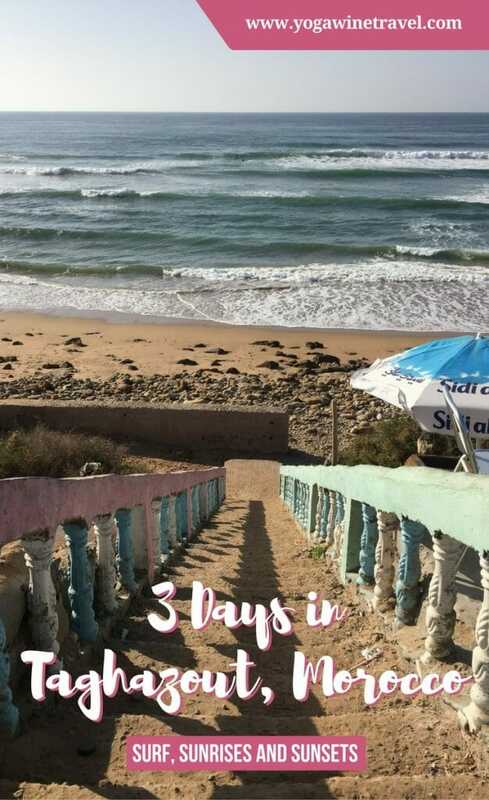 We only spent 3 days in Taghazout, and I managed to squeeze in an extremely fun (but freezing) surf at Imsouane before succumbing to food poisoning. As a result, I spent the majority of time passed out in bed and/or flopping around feeling sorry for myself. If you’re planning on visiting, I would recommend that you check out the local grocery stores and butchers and cook some of your own meals, as there aren’t that many options for food in the area. We did find some great breakfast food (and coffee!) 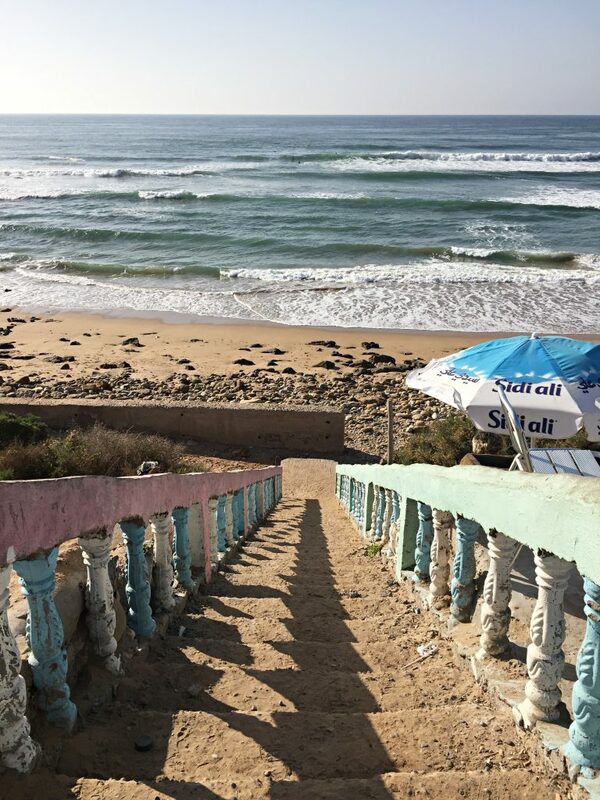 at Cafe Mouja, a small restaurant attached to Surf Maroc: you should have seen how happy I was to find avocado on toast after eating what felt like a million tagines. Then came Act II, a time I recall not-so-fondly as “Flo’s Sulky Sesh”. The combination of feeling sick, missing out on additional surf sessions and dreading the long and winding drive back to Marrakech left me in a mood, to say the least. Everything was “meh”. 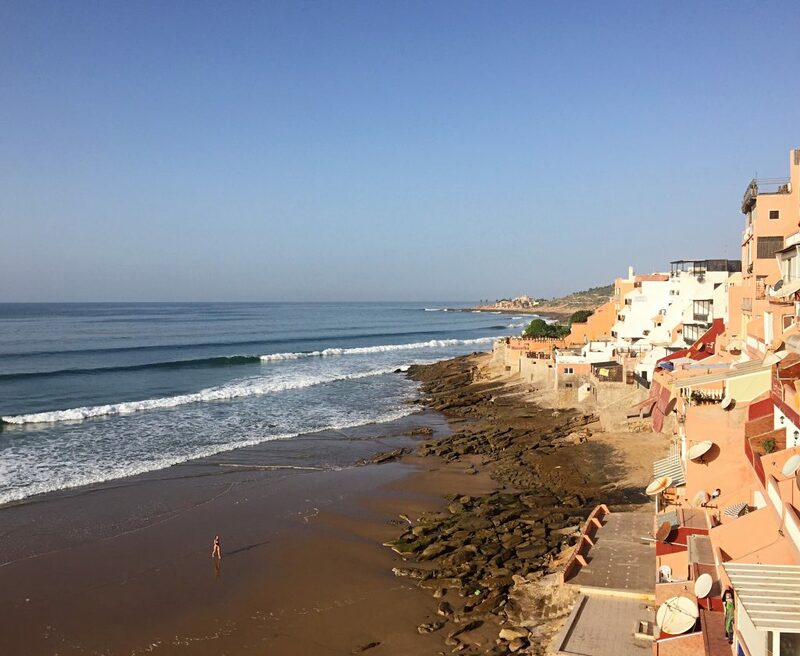 Taghazout was so different to anywhere I had ever been, and although I couldn’t quite put my finger on it, it wasn’t quite what I had expected. There I was, in Africa, for the first time ever, being a Debbie Downer. Not my finest moment, and I really had to sit down and give myself a reality check. I realized a few important facts: 1) every travel experience is an experience, and that 2) I should be grateful for the opportunity to have gone on this trip at all. There really was nothing at all to be disappointed about, and it was time to snap out of it. Has something similar happened to you before? I’d love to hear about your experience below! Before I was taken out by the stomach bug, I did manage to snap a few shots of our time here. 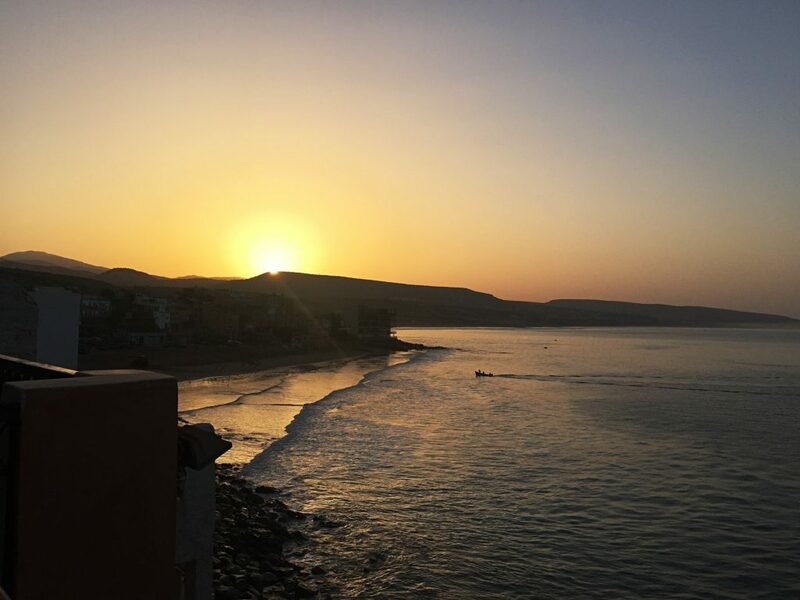 Looking back now, this truly was a beautiful and unique trip, and I’ve never seen sunsets as deep and vibrant as the ones we witnessed in Taghazout – with more time, I’d love to go back to Morocco and check out Essaouira, Fez and the picturesque “blue city”, Chefchaouen. 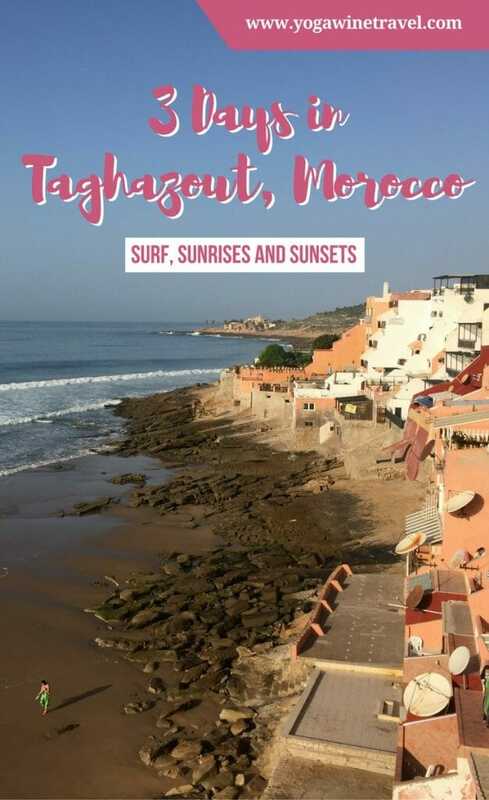 Have you visited Taghazout before? What did you think? Tell me all about it in the comments section below! Wow, I enjoyed your blog! I have been in Thaghazoute in 1986! I spent 3 weeks there and so much has changed, as I can see from your pictures. I would love to go back and experience it again, I had an amazing time which I will never forget. I will be posting some old pics on pinterest too, hope you enjoy it. I was also in the area a few months ago and it was great. I stayed at Blue Waves and it was a unique experience. 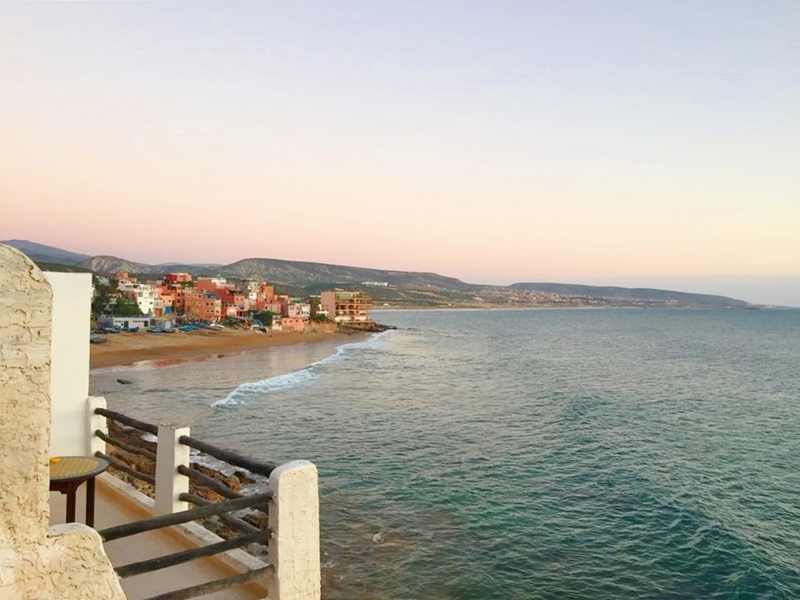 The area is great for surfing and the excursions in the area are simply great. To all those who have not gone, I recommend it!